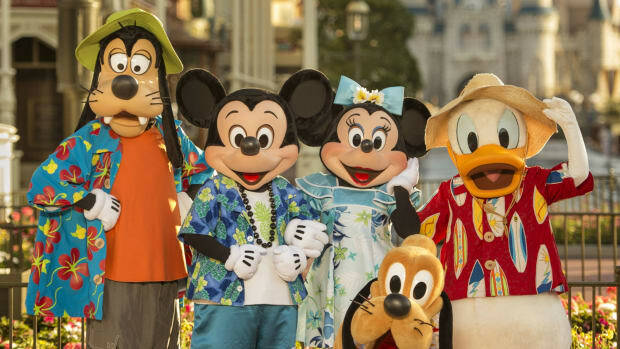 Orlando, Florida, theme park capital of the world, has over 10 amusement parks catering to theme park lovers and Florida vacationers in its huge metropolitan limits. But none of these are more centered on the magic and adventure of the motion pictures than Universal Orlando Resort and its two theme parks. Less than 10 miles from Downtown Orlando, the family-friendly theme park resort, currently celebrating its 25th anniversary, gives visitors unique opportunities to relive their favorite movies and TV shows, and has rightly earned a top spot as a vacation destination for families and movie lovers everywhere, attracting millions from all over the globe each year. From Jurassic Park island and the Revenge of the Mummy adventure to the two Wizarding Worlds of Harry Potter and the Minion Mayhem ride, the resort certainly lives up to its catchphrase, "Ride the Movies." 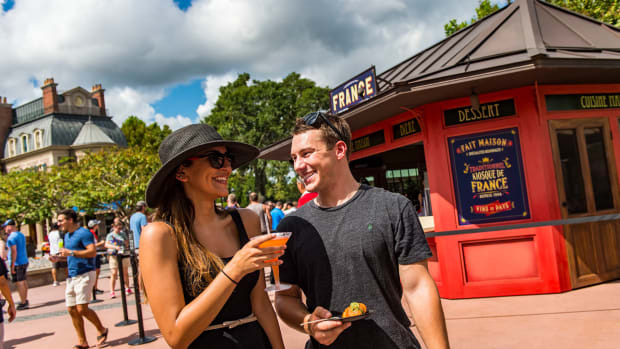 Whether you are on the budget, planning to splurge or traveling with a large group, Universal Orlando is more than ready to accommodate your family with its four onsite hotels, three of which are deluxe. These kid-friendly hotels provide fantastic, themed accommodations for its guests, not to mention convenient access to the parks and other exclusive perks like Unlimited Express Passes (deluxe hotels only), complimentary shuttle to/from the parks, and complimentary early access to the Wizarding World of Harry Potter. Universal’s Cabana Bay Resort. As the resort’s value/moderate hotel and most recent addition, Cabana Bay is a bright and vibrant hotel that will appeal to guests’ retro sensibilities with its gorgeous design that combines Mad Men’s coolness with The Jetsons’s groovy fun factor. The hotel features two kid-friendly pools, a lazy river, a waterslide, and a bowling alley for unlimited fun, as well as connecting rooms, family suites with kitchenettes, restaurants, and a Starbucks. Loews Royal Pacific Resort. If tropical paradise is more your family’s taste, then the Royal Pacific Resort should be the base for your Universal Orlando vacation. This award-winning deluxe resort delivers an island getaway in the middle of Central Florida with its exotic, tropical island theme complete with three pools, a stunning lagoon with a seaplane, and fantastic island cuisine. The guest rooms and suites offer family-friendly amenities such as high definition cable TVs, refreshment pantry, WiFi, and evening turndown service upon request. Hard Rock Hotel. While Royal Pacific takes guests to a tropical island getaway, family-friendly Hard Rock Hotel transports guests to sunny California for a fancy celebrity treatment, with its Spanish Mission architecture and rock star lifestyle. Its popular rock ‘n roll memorabilia and its free all-encompassing music amenity program, The Sound of Your Stay, attract music fans, while its four pools give kids plenty of space to splash around in. Music-inspired rooms and suites feature the same amenities as Royal Pacific, but with an A-lister twist. Loews Portofino Bay Hotel. The most luxurious of Universal Orlando’s hotels, Portofino Bay features a charming Mediterranean theme and design reminiscent of the seaside Italian resort village it is named after, from its waterfront pastel facades down to its piazza. Its two pools, waterslide, character dining and Despicable Me suites are most appealing to the kids, while its Harbor Nights, spa, nightly serenades are appeal to the older guests. Along with its standard rooms and suites that come with luxurious cotton bathrobes are Club rooms that feature a personal concierge service, complimentary breakfast, and afternoon hors d’oeuvres and refreshments. Loews Sapphire Falls. 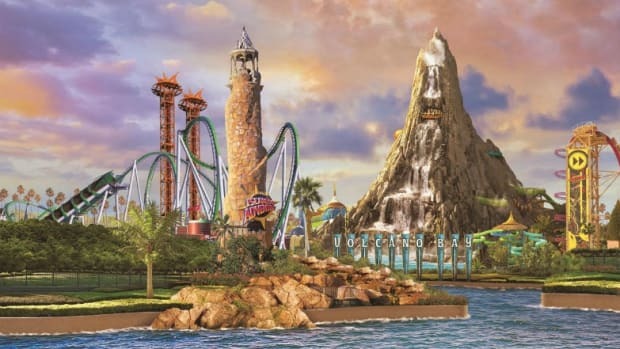 Coming in the summer of 2016 is the latest full-service Universal Orlando hotel, which will feature 1,000 rooms and suites, a tropical lagoon, a waterfall, and a pool with a waterslide, sand beach and fire pit. Located southwest of Orlando, around 16 miles north of Kissimmee and 13 miles west of the Orlando International Airport, Universal Orlando Resort is separated into 3 main areas – Universal CityWalk, Islands of Adventure, and Universal Studios Florida. Universal Studios Florida, the largest, is in the north with Hard Rock Hotel and Portofino Bay to the East, while Islands of Adventure and the CityWalk share the southern part of the resort with Royal Pacific and Cabana Bay. Wet ‘n Wild Orlando, the resort’s waterpark, is located offsite less than mile south of Royal Pacific. 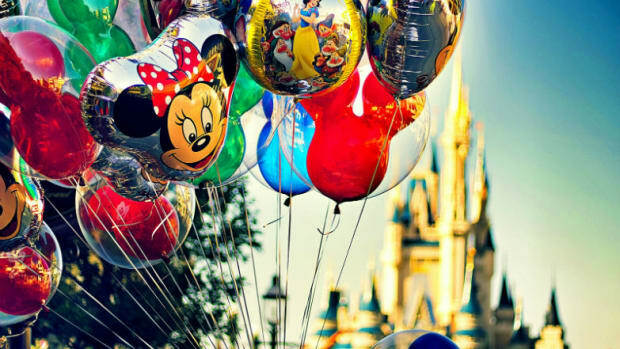 The resort has an extensive transportation network for its guests that include water taxis, shuttle buses, a Super Star Shuttle to/from the airport and partner hotels, and the Hogwarts Express ride that provides an easy and entertaining access between the two parks. Universal Studios Florida. 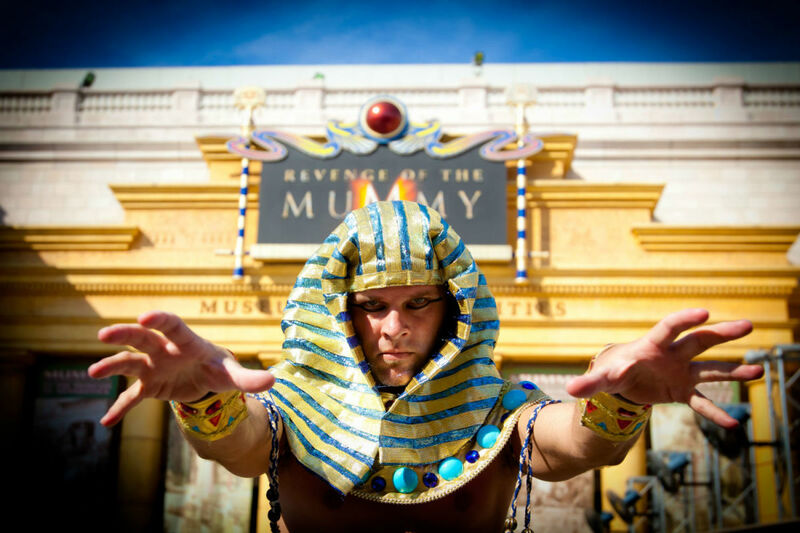 Universal Studios Florida, like the original Universal Studios Hollywood in Los Angeles, revolves around the big and small screens, with its attractions based on some of Hollywood’s biggest blockbusters and TV shows like The Mummy, Transformers, Twister, The Simpsons and Harry Potter. It is home to the resort’s most recent attraction addition, The Wizarding World of Harry Potter – Diagon Alley. Find out what it’s like when a tornado strikes on Twister, become a Minion on Minion Mayhem, and explore the vast underground of Gringotts on Harry Potter and the Escape from Gringotts. Universal’s Islands of Adventure. 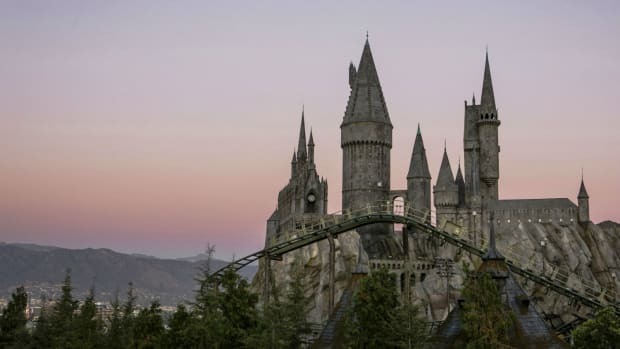 The smaller of the two parks and home to The Wizarding World of Harry Potter – Hogsmeade, Islands of Adventure takes guests on an adventurous journey through thrilling superhero feats, a prehistoric land, a village in the magical world, and many more. Cool down on Dudley Do-Right’s Ripsaw Falls and Popeye & Bluto’s Bilge-Rat Barges, get a rush of adrenaline on the Incredible Hulk and Doctor Doom’s Freefall, and go on a magical ride on Harry Potter and the Forbidden Journey. Wet ‘n Wild Orlando. 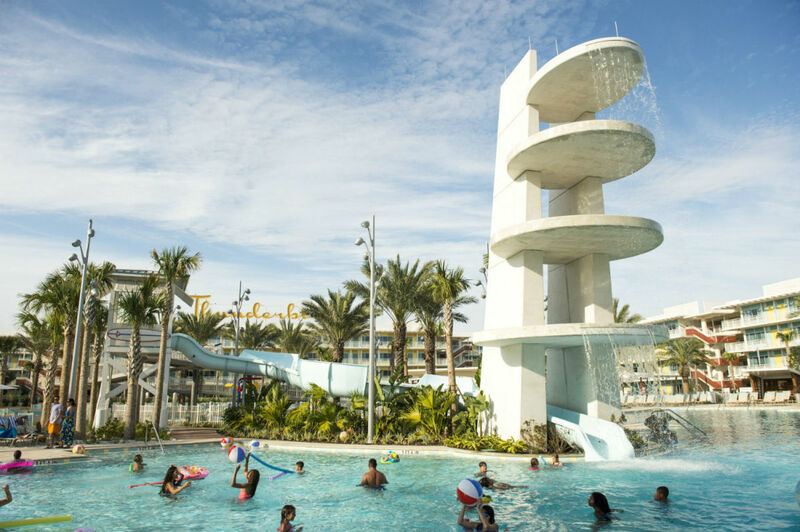 Located off-site is the popular waterpark acquired by the resort in the early 2000s, featuring water-based attractions that include a lazy river, exciting tube slides, body slides, a surf lagoon, and a water play area for the younger crowd. Universal’s Volcano Bay. Coming in 2017 is the resort’s first on-site waterpark set to feature a tropical island theme. 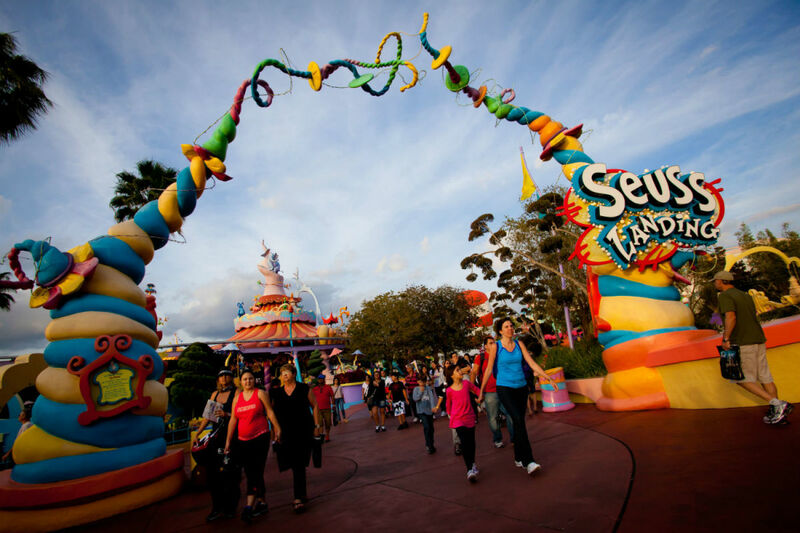 Universal Studios Orlando tickets vary, depending on the length of visit and park access. One-day, single park admissions are at $102 for adults and $97 for kids, while one-day park-to-park admissions are at $147 for adults and $142 for kids, offering a whopping $57 discount. Note that the Hogwarts Express is only accessible to guests with park-to-park tickets. 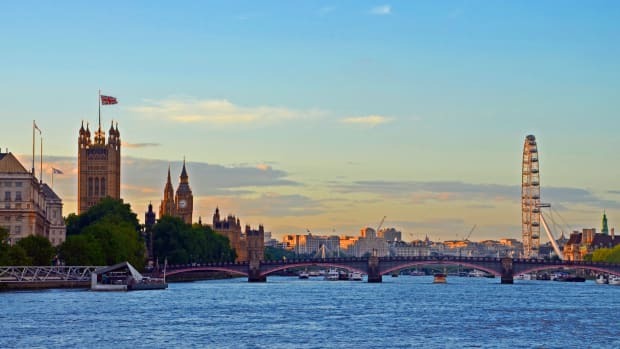 During peak season, lines are exceedingly long especially for the most popular attractions. If you only have a day or two to spend at the resort, the Universal Express Pass comes in very handy! 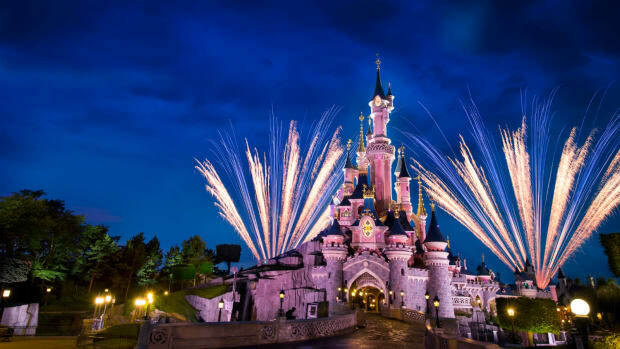 It gives guests front-of-the-line access to many of the rides, cutting waiting times down to more than half, which will give guests more time to explore other areas of the parks. Express Passes start at $84.99 (in addition to your Universal Studios Orlando tickets), but come complimentary for guests staying at one of the onsite deluxe hotels. Take a break from the parks and enjoy show night fun with the kids. The very cool, wildly hilarious and super interactive Blue Man Group, a stirring show that combines art, technology and music, inspires creativity in its captive audience. Blue Man Group tickets start at $60 per adult and $30 per child. 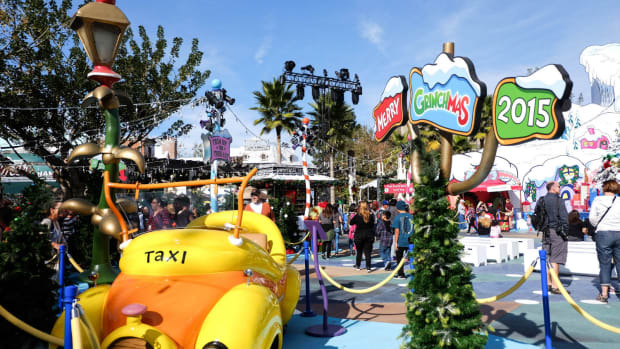 A plethora of shopping, fun and entertainment opportunities are available at the Universal CityWalk, from the Universal Studios Store and a number of retail kiosks that sell park merchandise to its IMAX theater and mini golf. Perhaps the best thing about Universal CityWalk, however, is the terrific dining experience it offers visitors. While this free area of the resort has the usual chains like Bubba Gump and Hard Rock Café, it’s also home to wonderful unique restaurants like the new Vivo Italian Kitchen and The Cowfish. As a popular vacation destination, Universal Orlando Florida is never not busy, but it’s especially crowded during spring break, from late May to Labor Day, and during the winter holidays. Off-peak times include the week after Labor Day until just before Thanksgiving, before spring break, and the weeks following Thanksgiving until before the Christmas holidays. Vivo Italian Kitchen. Authentic Italian isn’t easy to find, especially at a theme park. That’s what makes Vivo - and its delectable dishes - an unexpected and delightful surprise. 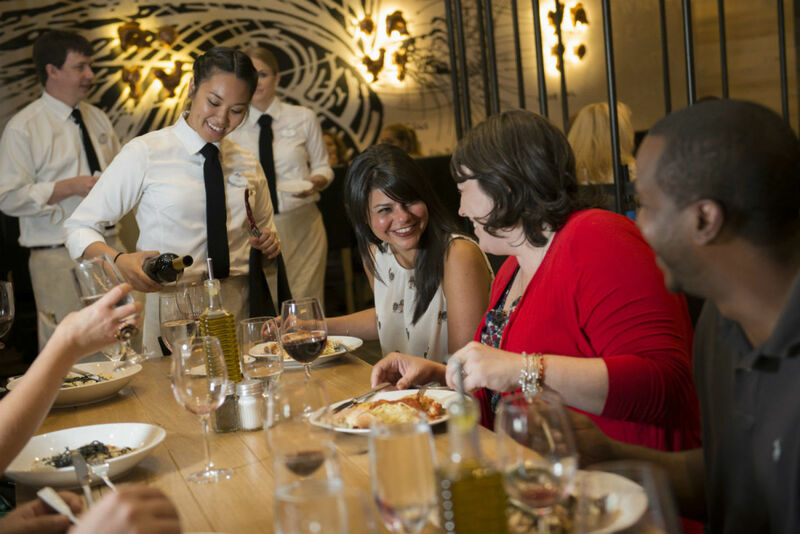 A new addition to CityWalk, the modern Italian restaurant prides itself on its flavorful creations, a diverse menu and the friendly, welcoming staff, making it the perfect dining choice for families with kids. Their addictive Risotto with mushrooms and tender short ribs are perfect for a hearty meal after a long, active day at the parks, while their perfectly cooked salmon is great for those looking for a lighter meal. Kids will love the pizza and pasta selections. Start your meal off with the Warm Caprese and its delicious balsamic-tomato jam, and cap it off with a nice cup of Lavazza coffee with hints of chocolate. The Cowfish. 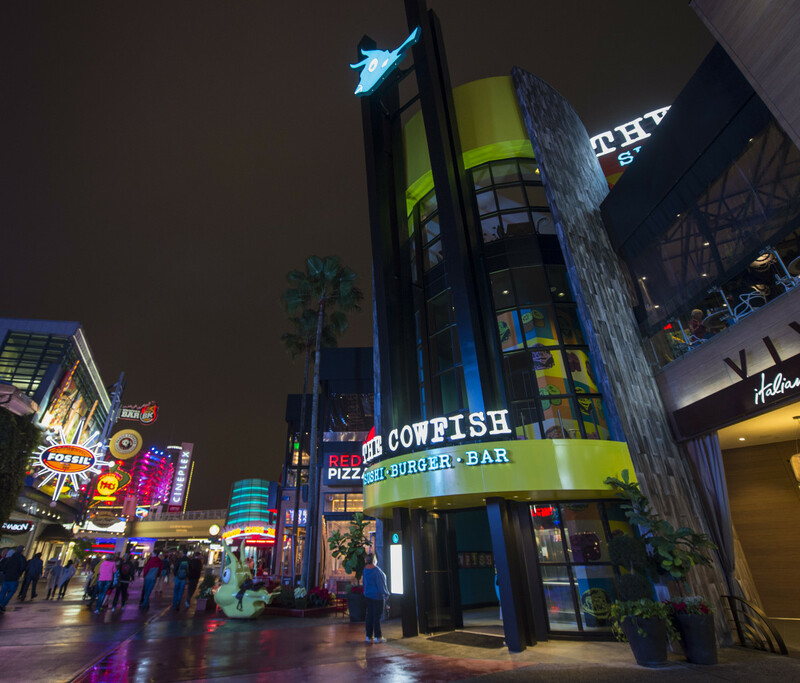 A fusion of burgers and sushi might sound slightly weird, but this new CityWalk restaurant makes it work. The burger bar offers delicious specialty rolls with awesome names like Dion’s OMG! and Firecraker as well as burgers like the Black Truffle Cheese Burger and the Boursin Bacon Burger. Want the best of both worlds? Order a bento box. The kids will love their selection of milkshakes. Three Broomsticks and Leaky Cauldron. Whether or not you and your family are big Harry Potter fans, dining at these two restaurants legendary in JK Rowling’s world is a must. Enjoy a traditional English breakfast at Three Broomsticks in Hogsmeade before the rest of the park opens, and re-nourish at the Leaky Cauldron in Diagon Alley for lunch. Don’t forget to get everyone his or her own "pint" of frozen Butterbeer, a must to complete the Harry Potter experience. Child Swap is a fantastic amenity that will give parents a chance to fully enjoy the Universal Orlando parks without sacrificing their kids&apos; safety and well-being. When your kids aren&apos;t tall enough or brave enough one of the more exhilarating rides, be sure to take full advantage of the Child Swap option at Universal Orlando so you and your spouse/partner can go on the rides without waiting in line twice for the same ride. When it&apos;s your turn in line, your spouse/partner waits with your little one in an air-conditioned room furnished with seats and a television while you get on the ride. Once you&apos;re finished, you just switch places with him or her at the Child Swap area so he or she can bypass the lines and simply take his or her turn on the ride. This feature is available at several thrill rides, including (but not limited to) Harry Potter and the Escape from Gringotts, Revenge of the Mummy, Jurassic Park River Adventure, and the Incredible Hulk. Get the kids their own interactive wands at Ollivanders and let your little witches and wizards perform underage magic at more than 20 spots around Diagon Alley and Hogsmeade. Planning to get wet? Make sure to bring extra clothes for you and the kids. Or pay $5 to dry off inside one of the gigantic People Dryers near Dudley Do-Right’s Ripsaw Falls. A future archeologist in the family? Visit the Jurassic Park Discovery Center for an educational and interactive experience. Universal offers different dining plans (including character breakfasts) that start at $12.99 for your family’s nutrition needs.